Egyptian delegation arrives in Gaza, trying to pressure Hamas not to lead to further deterioration with Israel. An Egyptian delegation mediating between Israel and Hamas arrived in Gaza on Tuesday evening to try to prevent an escalation between the terrorist organization and the IDF. The Egyptians intend to demand that Hamas immediately reduce the level of violence and calm the situation. During the day on Tuesday, a number of balloons containing explosive devices were fired at the Gaza envelope, causing no injuries or damages. Hundreds of Palestinian Arabs rioted at the border with Israel, and the IDF responded with riot dispersal means. Earlier, the Al-Arabi Al-Jadid newspaper reported that a delegation of Egyptian intelligence had met in Israel a few days ago with Mossad chief Yossi Cohen regarding an arrangement between Israel and Gaza. According to the report, the visit was three days in length and included meetings with other senior officials in the defense establishment. 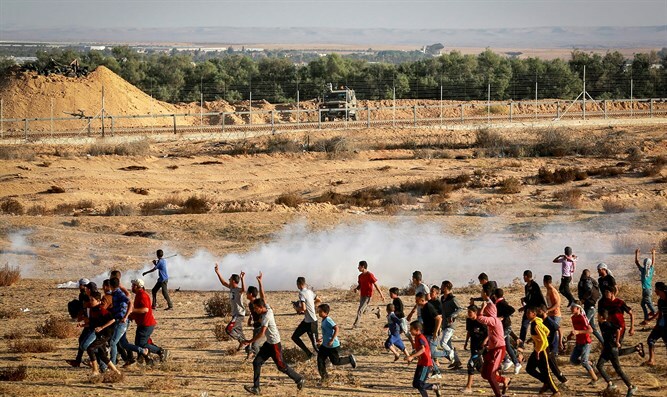 On Monday, Kan 11 News reported that Hamas is again demanding money for salaries for its employees in Gaza at a sum of $20 million as a condition for restoring calm along the Gaza border.